The Harvest team takes a break to have some lunch. 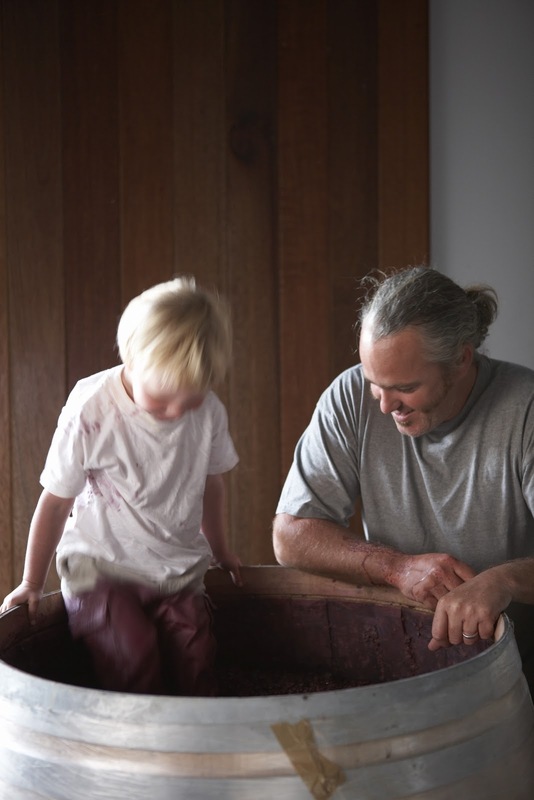 “The winery is running like a dow on rough seas – bumpy but steadfast. The crew are all looking very good and we have picked some amazing parcels of grapes. New additions are Palomino (or Fransdruif as it’s known by the old timers and not to be confused with your favourite old donkey) from the Moutonshoek area, very old vines, very little juice and destined for our fledgling sherry project; Verdehlo from a tiny vineyard to the north of the Swartland appellation and some Clairette Blanche from an abandoned vineyard on the Paardeberg. As far as the red grapes are concerned, we have picked the Syrah/Shiraz blocks and are now starting with the old Cinsault and Grenache. These vines are between 50 and 60 yrs old and are looking the best they have ever looked and are vital in our blend. Oh, I love it when a plan comes together! Tomorrow night special friends and family gather at the Kalmoesfontein Cellar for the annual foot stomping of some grapes… There will sure be some cool pictures and news to report on Monday, till then… Cheers! 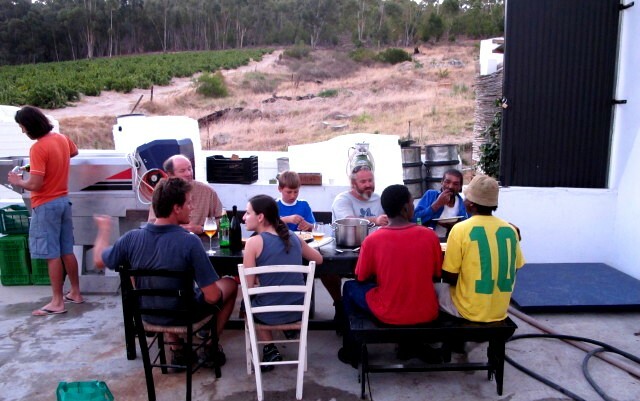 This entry was posted in Adi Badenhorst, Chenin Blanc, harvest, kalmoesfontein, Paardeberg, swartland by quietriotgirl. Bookmark the permalink.